PARLIAMENT – Nathan Nandala Mafabi on Wednesday assumed leadership of the Public Accounts Committee (PAC) – Central Government, one of the four accountability committees in Parliament. 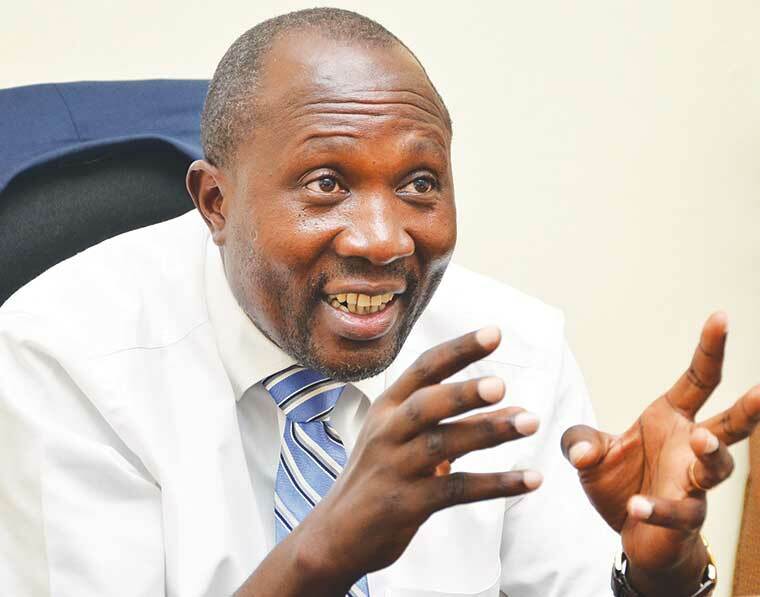 Mafabi (FDC, Budadiri West), a former Leader of the Opposition in Parliament, will be chairing the committee for the second time, having first chaired it in the Eighth Parliament. The Public Accounts Committee (central government) examines the audited accounts showing the appropriation of the sums granted by Parliament to meet the expenditure of the central government and judiciary. The committee has been chaired by Angeline Osegge (FDC, Soroti district) since the start of the 10th Parliament in 2016. In a ceremony attended by both the incoming and outgoing committee members, Osegge said the outgoing committee had considered and completed several reports of the Auditor General including financial reports, missions abroad report, value for money audit reports and classified expenditure audit reports, which have been received by Parliament, pending debate. “You will commence your assignment with the current report of the Auditor General for 2017/18,” said Osegge. Under her leadership, Osegge said, PAC (Central Government) completed some of the pending draft reports for the financial years ending June 2014, 2015, 2016 and 2017. She called on the new leadership to open communication with the Commonwealth Secretariat in bid to revive Uganda’s participation in the Commonwealth Association of Public Accounts Committees (CAPAC). Uganda is a member of the East African Association of Public Accounts Committees (EAAPAC) and the African Organization of Public Accounts Committees (AFROPAC). Nandala Mafabi commended the outgoing leadership for its work in following up the Auditor General’s reports to completion. He pledged to continue the vigour exhibited by the committee in engaging public accountability. “We are not new to the game as I have chaired this committee before. I thank Hon. Osegge for setting a standard of work and we shall continue the work of getting accountability done effectively, for the benefit of Ugandans,” said Mafabi. The former Leader of the Opposition, Winfred Kiiza (FDC, Kasese district) commended the outgoing team for its work albeit the challenges faced. Okin P.P Ojara is the Vice-chairperson of the committee.